Hampton Art Blog: Mixing Kraft paper and stamps! Hi! Have you ever finished a card and thought ‘does it need something more’? 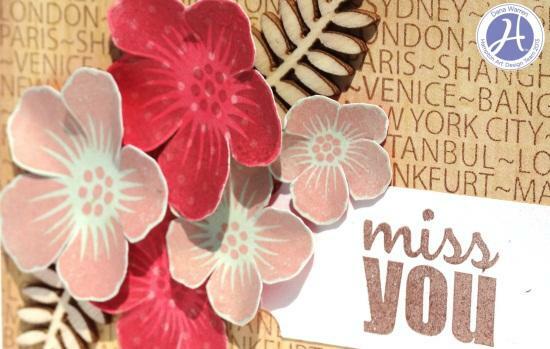 I did with this card, and usually I play around with elements, glitter, stamps, rhinestones etc. until I find that ‘something more’ that it needed. But sometimes you don’t need a something more and when I looked at this card I told myself it needed anything and walked away. I came back to the card and felt it didn’t need ‘something more’ I like it just the way it was! Try it, you might find like the card just the way it is too! 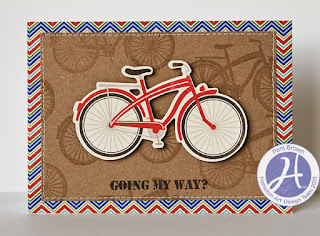 I adored the bicycle stamp, and it matched my die-dut perfectly. 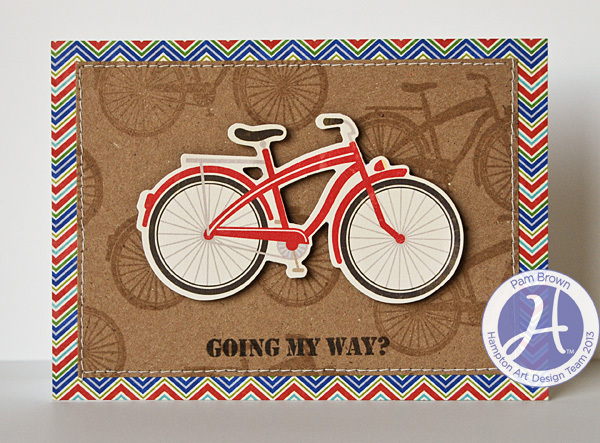 I stamped the bicycle all over kraft cardstock with watermark ink to add a a subtle background. I stitched the cardstock to patterned paper, added a die-cut, and stamped the sentiment underneath. Great cards! 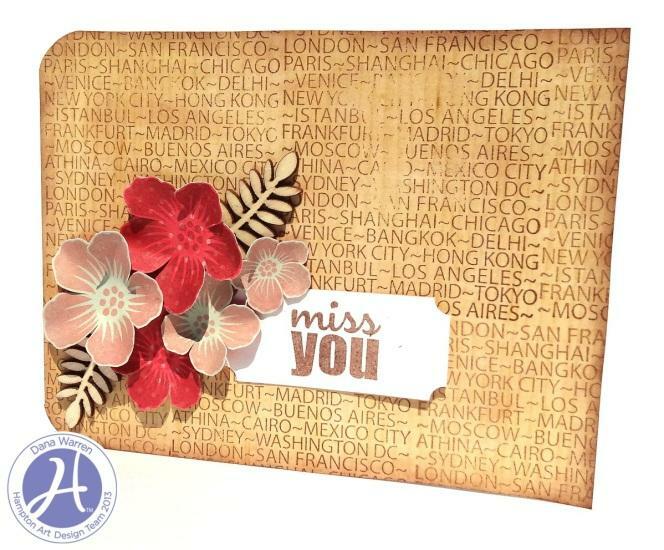 I love the stamping on kraft to create the backgrounds, and the flowers in that first card really pop!